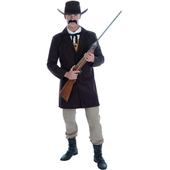 To complete this old time western look is the all important black hat and holster belt. 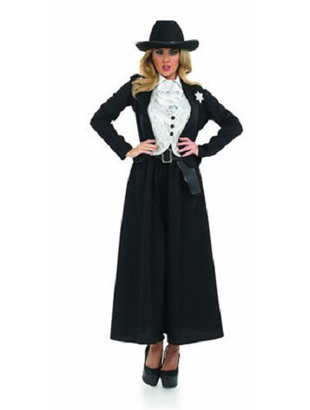 Please note shoes are not included with this costume. 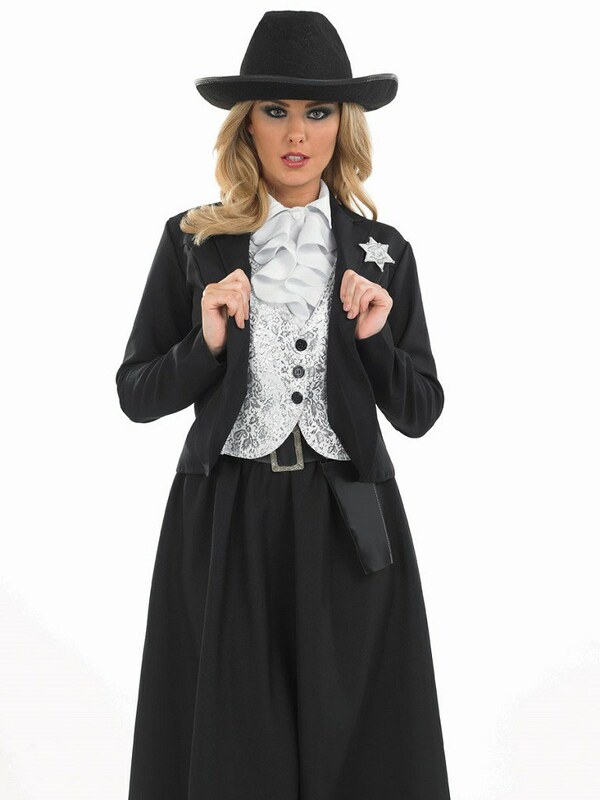 As a bigger lady I was dreading trying to find a fancy dress outfit that wasn't short designed for a teenager - as that's all i tend to have seen before. So I was delighted that there were options that didnt 'show all'. The fit on this is great, the material is much better than you'd expect for an item this price. Costume arrived two days before its expected delivery date. Will definitely shop here again.